Thousands of college students in Michigan will head to the polls tomorrow to cast their vote. Even more students will stay home, with an array of excuses for failing to seize that opportunity. There are scores of students volunteering for their favorite candidate or issue, who will knock on doors, sign petitions and attend rallies. Meanwhile, others can’t even name a candidate besides Obama or Romney. Even more troubling is that young people are being actively discouraged from voting by laws and policies that are enacted by elected officials. There is a lot at stake for college students in elections year in and year out. Whether you are passionate about economics, education or social issues, voting helps shape the outcomes of topics that are important to students. So why do nearly half of all young people fail to cast a ballot each November? Part of the problem is apathy, and it’s an issue that is not confined to college campuses. It’s the 21st century, and peoples’ lives are more complicated now than ever. We are faced with countless decisions and distractions every day, so it’s easy to see why someone would put politics on the backburner. However, part of the low turnout amongst college-aged voters is intentional. Many states have passed laws restricting third-party voter registration and Election Day registration, both of which are geared towards young people. Prohibitive voter I.D. laws and confusing residency requirements present problems for student voters as well. 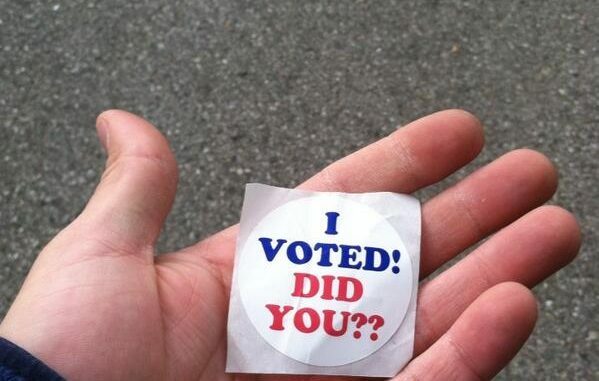 Luckily, in Michigan, it is not overly difficult for college students to become voters. In some cities, first-time registrants must vote in person on Election Day. Our state doesn’t offer same-day registration, but most students have absentee or early voting options. I cast my ballot in Detroit nearly two weeks ago. Students cannot afford to ignore elections. Literally. Budget decisions by lawmakers have caused the cost of higher education to skyrocket with no end in sight. Meanhwile, #DontDoubleMyRate became a popular hashtag this summer when controversy arose over rising interest rates for federal student loans. Although no Michigan Congressmen are up for election tomorrow, voting in local municipal elections is important, too. Those candidates who are elected will have a direct impact on the health of schools, parks and emergency services in your local community. If you are registered to vote, please take the time to visit the polls tomorrow. If you didn’t register in time, it’s never too early to get signed up for next year. That election will feature Mark Schauer, ’84 alumnus, who is the Democratic candidate for governor of Michigan. College students will continue to be harmed by the decisions of elected officials unless something changes. The first step is getting more of us to vote.